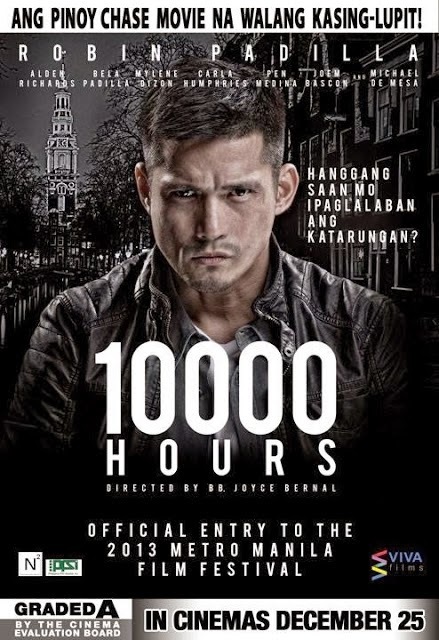 10 000 hours is one of the most awaited come back movie of Boy Astig Robin Padilla. 10 000 hours is an official entry for Metro Manila Film Festival 2013. This is an action, drama and thriller film directed by Bb. Joyce Bernal and distributed by Philippine Film Studios. Breath-taking scenes and extra tremendous stunts and effects will surely amazed us. 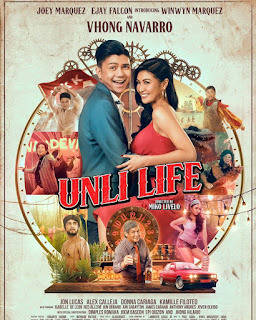 With the participation Alden Richards, Joem bascon, Mylene Dizon, pen Medina, Michael de Mesa, Bobby Andrews, Bela Padilla, Joross Gamboa,with special participation of Sen. Lito Lapid, Ramon Christopher Gutierez, Raymart Santiago, Efren Reyes and Phillip Salvador, this made the film big time and really remarkable. Everyone's waiting for the release of this movie.Watch out for 10 000 hours starting December 25, 2013. grab your tickets now! Don't missed this out! See you all there.